Paratha rolls are a beloved snack across many cities in Pakistan, and I can’t help bu tmake them at home when i’m missing Lahore. There are so many ways you can make these, but i’m gonna show you how I like to make them, and you won’t be sorry if you try them! It’s about having the right ingredients, a little cooking, and a little assembling. Not too hard to make and great to make in bulk. You can wrap them in foil and keep them warm in the oven till it’s time to serve them. 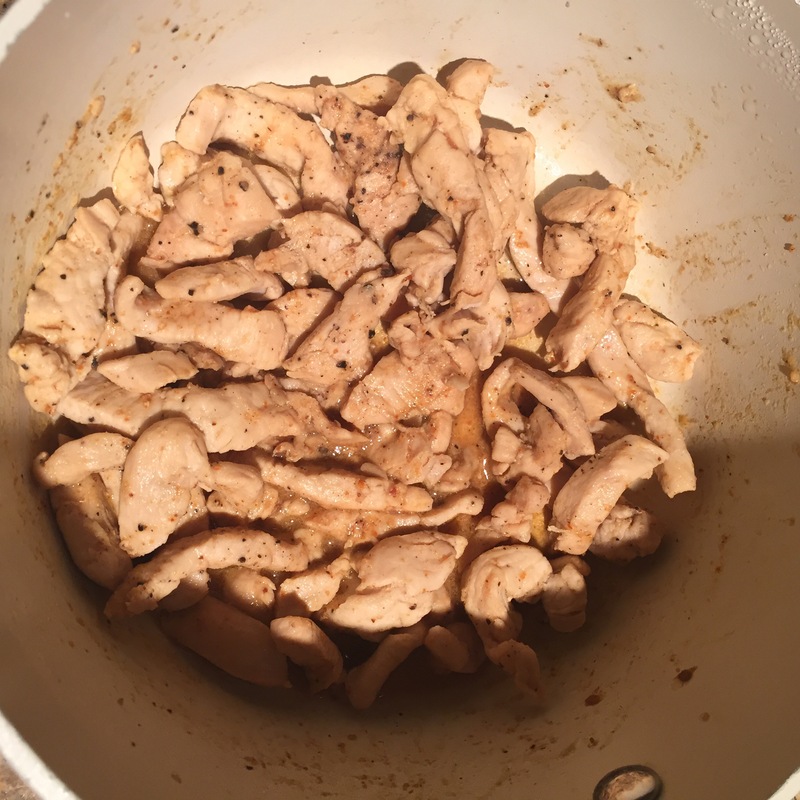 In a small bowl add the chicken, salt, black pepper, garam masala/tikka masala, yogurt and lemon juice and let it sit for at least 10 minutes. While it’s marinating you can prepare the parathas according to package directions. 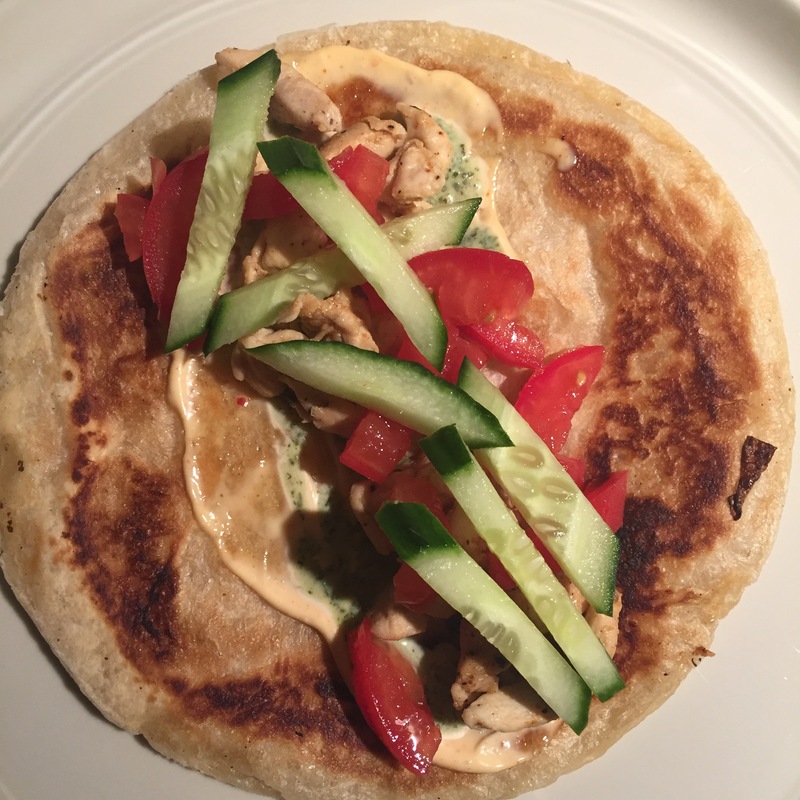 I like using the dawn frozen parathas but you can use any of your choice, and even make them at home. If you opt to make homemade ones I would suggest adding some flour to the aata(indian wheat flour). Set the parathas aside once cooked. In a pan heat the oil and sauté the chicken until it’s cooked through. Let it cool slightly before assembling. 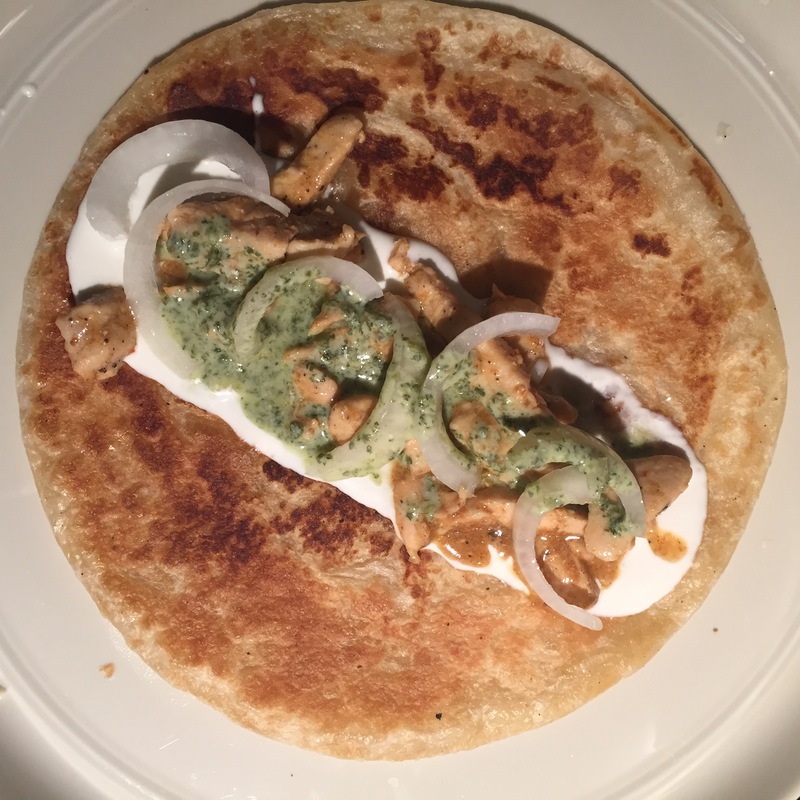 To assemble spread some mint chutney(and/or spicy mayo) on one half of the paratha, add as much chicken and pickled onions as you want towards the edge of the paratha that has the chutney and roll tightly and secure with a toothpick or fold into some foil. If you want to make these ahead and keep them warm in the oven I suggest wrapping them individually in foil instead of using a toothpick. That’s all there is to it! You can add whatever you want to this. I sometimes add cucumbers, tomatoes and lettuce. Mix everything together in an airtight container or jar and let it sit in the fridge for at least 3 hours before using. It stays good refrigerated for at least 2 weeks. Fatima, it’d be great if you could mention in ur recipes how much does each recipe yield in terms of serving. Hi! I usually do in the ingredients, but i’ll try making it more clear in the beginning of the recipe! Like for this recipe i’ve mentioned you need 8-10 parathas depending on how much filling you like, so it’s good for about 8-10 parathas! Hope that helps!